Out of so many ways to keep myself warm – I usually gravitate to one style: layering a man sweater with a coat. It sounds like a standard wardrobe, but there are so many ways to reinvent the outfit. 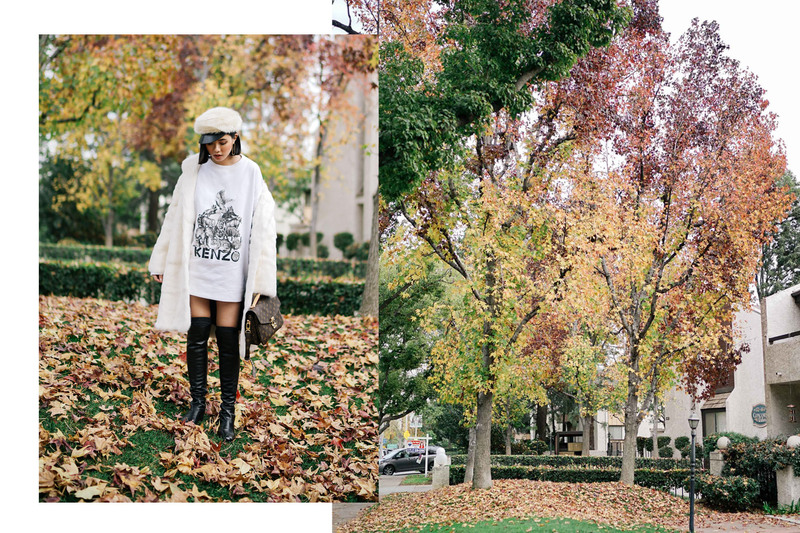 So for my outfit of the day, I paired up an oversized man sweater from Kenzo with a white coat. Also, I put on thigh high boots and a beret. One styling trick is to choose a coat that is longer than the sweater. ur earrings stealing my attention….